Need a little pop in this dreary season? 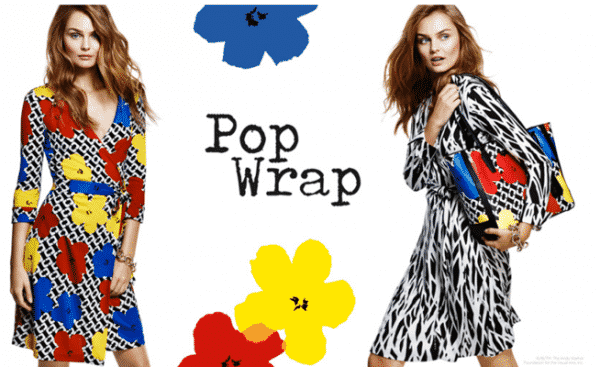 Diane vonFurstenberg’s new Pop Wrap Collection is just the thing. Andy Warhol’s iconic flowers meet the DVF prints to create the limited edition that will disappear quickly. As you know these iconic wrap dresses are right for any occasion. Pair it with a cardigan or jacket for the office, then dress it up for out on the town. In her signature, seasonless silk jersey, these bountiful bouquets and bound for your bag heading to bright boundaries.